had some sort of problem with my teeth but getting to a dentist at short notice was impossible. 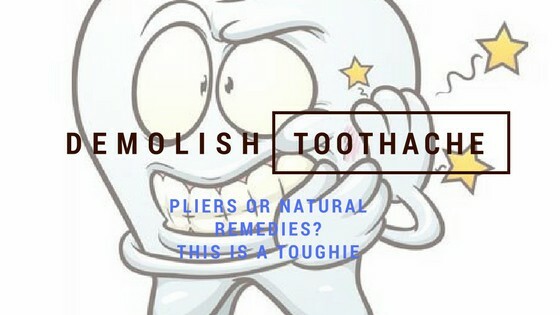 Desperation kicked in so I jumped onto my computer and started searching: how to treat a toothache and looked for any short term remedies that would work and came across a few that did the trick. They could potentially help you out too if implemented in the correct way. Quick side note, my dental health has increased 10 fold after I started using an electric toothbrush and flossing regularly. My toothaches have completely vanished, If you want to learn about the benefits of electric toothbrushes then check out the post on Manual vs electric toothbrush. If your teeth are throbbing with excruciating pain then you might have a rotting tooth. This causes the infection to spread to the pulp area contained inside the tooth. Tooth decay is the most common cause of toothaches and it affects the individuals daily activities such as: eating, studying and concentrating on delicate tasks. The reason why it’s so painful is the pulp contains the nerve endings and arteries. You might have an opening in the tooth due to decay, cavity or cracking, and this is what enables the infection to spread. However, this can only be diagnosed by a dentist so you need to go see one ASAP! To get to the source of the pain. They can cure it!. I am only giving you short term fixes that will hold the pain off until you can see a dentist. Don’t get me wrong, these remedies work like a charm but the toothache will return unless you get to the underlying cause. So What Are These Quick Fixes? Putting ice on the web between your thumb and index finger can help reduce tooth pain according to a study. This is because the area between the thumb and index finger is known in acupressure as the L14 pressure point. This is the spot that interacts with pain in various parts of the body and researchers believe that ice is crucial in reducing dental pain because it causes cold signals to interfere with pain signals. get some ice and rub it over the L14 pressure point for 5 minutes. Do make sure to rub it on the hand that is on the same side of your tooth pain. Also, try putting the ice against the cheek to help radiate the coldness into the tooth as sometimes having the cold source closer to the pain area makes a big difference. This oil is made from flower buds of a tree called Syzygium aromaticum found primarily in Indonesia. Many studies have shown that it contains properties which make it an analgesic. In other words it acts as a painkiller. One such phytochemical contained within the oil is Eugenol. This is the active chemical that helps relieve toothache temporarily. In some countries it is used as an anesthetic and can double up as an antibacterial and anti inflammatory agent. get a cotton ball or swab and dip it into the clove oil until it’s reasonably soaked. Gently wipe this over the gums and directly to the tooth or area that’s causing pain. Hopefully within a few minutes the oil will get to work and reduce the pain. The reason why we recommend this particular oil is simply down to the amount of purchases made by customers and an average of 4.5/5 star reviews. These came from Amazon and so there won’t be any trust issues or worrying about any possible fraud. Another thing is it is 100% pure and natural straight from the Syzygium aromaticum tree. You will see some oils that have been diluted down and you should avoid these at all costs, they are useless. If your interested in making a purchase then you can head on over to Amazon to shop around. Eugenol is usually used in dentistry with few reported side effects which are mainly in individuals sensitive to eugenol. It can cause local irritation, some cytotoxic effects, and hypersensitivity reactions. It is considered safe when used correctly in small amounts; however, it can cause liver and respiratory problems when ingested in large quantities!!! Clove oil reduces pain and swelling when you have toothache, but a dental cavity is a systemic issue, and therefore clove is merely used to help with the symptoms of the toothache. After applying clove oil you may feel better, but the oil is only masking the symptoms of your problem. You should visit a dentist as soon as you can. Toothaches are usually caused by tooth decay, and the longer you delay before seeing a dentist, the worse the decay can become. Alright so we hope you found this article helpful and if you implement the advice given here, we guarantee you will feel happier and in less pain. If you have any comments regarding the 2 treatments mentioned above please get in touch. I know the power of acupuncture, but I never thought of the toothache! It sounds great. I will try this when I get the tooth pain. My problem is actually more for my gum than my tooth. I am too lazy here come to the flossing. I do have an electronic toothbrush that now I am used to, and also started using the water pick. That helped me some of my gum problems. Do you think the clove oil will work for the pain from the gum (or between the teeth and the gum, like some sharp sensitivities or inflammation)? I urge you to start incorporating flossing into your daily routine, it will help your teeth immensely. When i started flossing i noticed that over the next couple of days and weeks i did not bleed as much and my gum disease was slowly being reversed. Trust me flossing will change your mouths life for the better. Clove oil is quite versatile and can be used for any gum problems, just get a a few drops and using your finger rub the oil along the gum line where the problem is occurring. Hopefully this relieves some of the pain but if the problem persists you will need to go see a dentist. Has your dentist said anything about cavities being present in your teeth. Probably not otherwise they would have told you. It’s quite strange and you might be right in thinking it’s something to do with your gums. It’s good that you are not suffering from this all the time but yeah keep an eye out for any changes in your gum health. If you notice something changing go see a dentist. The treatments i have mentioned in the article are short term and will not cure the root cause. Their mainly for when you have a toothache which is unbearable and you need a quick fix. However i have heard some people curing their gum problems by using essential oils so give it a go and see how you react to it.